A country maintains and develops trade relations with other countries because it gains by doing so. Commodities are imported because either they cannot be produced in the country at all or can be produced at a very high cost. Import of such commodities by the country is, therefore, convenient and cheaper. In exchange for imports, the country has to export certain commodities which it can produce but which are not produced in some other countries, and for the production of which its resources are well suited. Thus foreign trade is a source of considerable gain for a country. Bangladesh is not an exception to this. 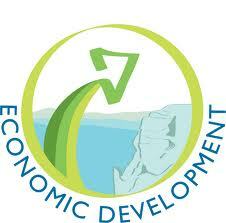 Because foreign trade is of vital importance to the economic development of Bangladesh. . In order to finance imports and also to reduce the country’s dependence on foreign aid grants, the government, since liberation, has been trying to enhance foreign exchange earnings through planned and increased exports. In the field of commerce the main task of the government is to make Bangladesh economy strong and dynamic enabling it to face the challenges of rapidly changing world trade system. Nearly all sector contributed to the GDP growth, particularly significant were the growth of the export-oriented sectors, inflow of remittances and some service sectors like transport and communication. In that case foreign exchange operation of JBL plays an important role in the economic development of Bangladesh. 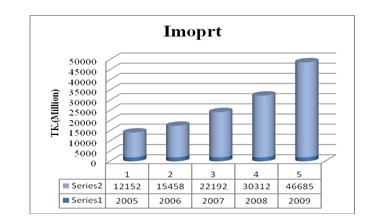 The total import business handled by the Bank in 2009 was Tk.46684.73 million compared to Tk.30311.71 million in the preceding year registering a rise of Tk.1673.02 million being 54.02 percent. A sizeable L/C’s were also opened by the Bank in the year under review. The import items included industrial raw materials, machinery, consumer goods, fabrics, accessories etc. From the above table I see that there is up and down in the import position. Growth of JBL is hindered because of unsuitable economic condition in 2008 and in 2009 JBL recorded a significant growth of 16373. The expansion of import is responsible for the deterioration of the trade balance of JBL. Global recession fall in the price of commodities due to decrease in the production as a result importer imported less, in spite of that we can see a sudden increase in 2009 because of natural disaster such as devastating cyclone, price hike of oil and other commodities in the world market. Jamuna Bank Limited has opted quality financing while facilitating import trade in2009. Import payment during FY09 amounted to US$21.60 billion (27.3%of GDP) compared to US$17.16 billion (25.1%of GDP) in FY08. This shows an upward trend in import cost. Though higher import than export is not good but some cases this position helps to the country’s development. Like by increasing the import JBL facilitate port facility, creating employment facility , by importing machineries, raw materials it can increase country’s production ultimately increase the export and thus it develop BD’s economy. JBL recorded 21407million growth at the end of 2009 as against that of 2790million at the end of 2008. From this I say that it gains by developing its export business. From The above Chart we are seeing that the Yearly Export growths are increasing. So JBL are developing their export position and earning foreign currency and that increase the financial position of the JBL. As of the above graph I can say, in 2009 JBL brings a significant change to the overall economy of Bangladesh. Total Export of the bank increased to BDT 2790 million at the end of 2009 as against that of BDT 32670.10 million up to 2008 registering 24.950% growth. Total export earnings during FY09 amounted to US$ 14.11 billion (17.8%of GDP) compared to US$ 12.18 billion (17.8%of GDP) in FY08. Among the exported items Readymade Garments (RMG) holds highest contribution (75% of total export earnings). Despite the contraction of the overseas employment caused by the last few months of 2009, JBL achieved a significant growth in remittance business. From remittance business JBL achieved 34.54%growth in 2009 over 2008. The bank has made provision of BDT 665.80 million for corporate tax in 2009 against BDT 658.34 million in 2008. The bank has also contributed to the economy by generating employment of 1115 full time officials. In the intermediation process, the bank mobilized resources of BDT 49538.36 million from the surplus economic unit and deployed BDT 41993.95 million in 2009. The bank has made top most significant contribution to Readymade Garments sector by handling export Letters of Credit.